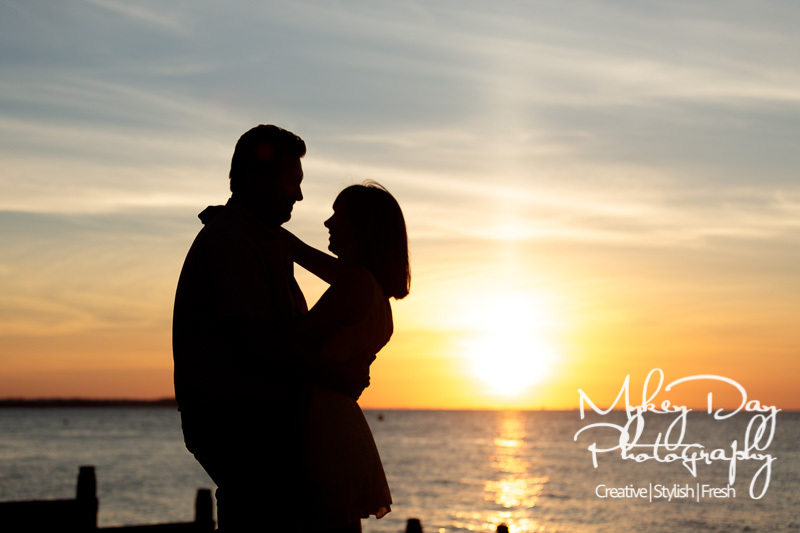 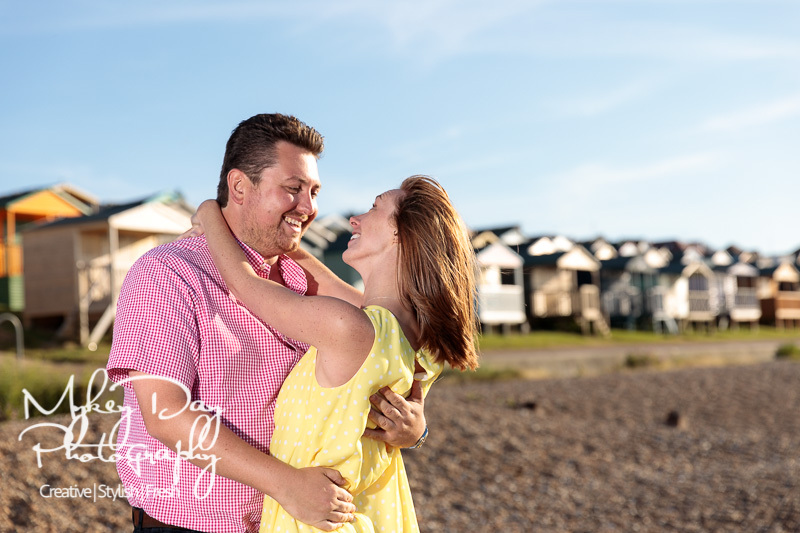 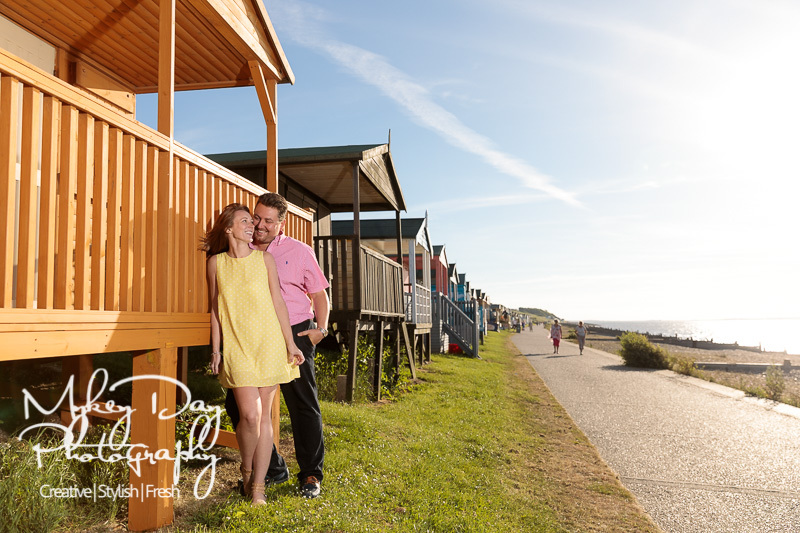 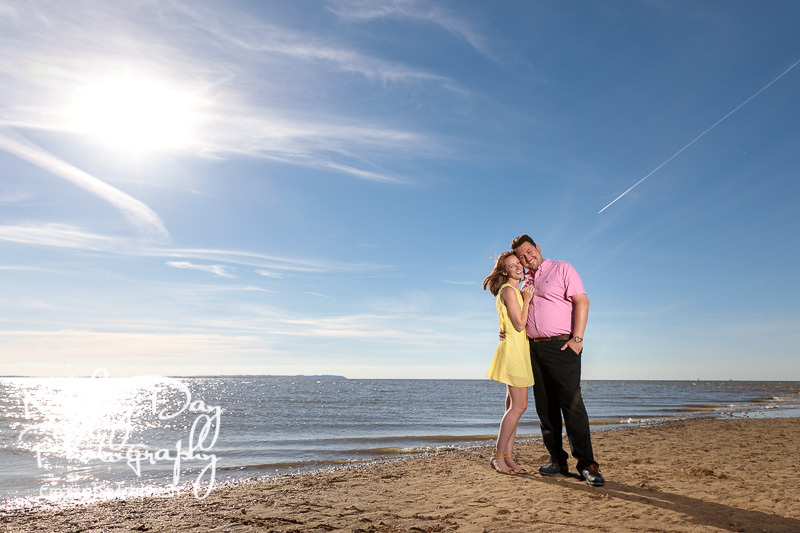 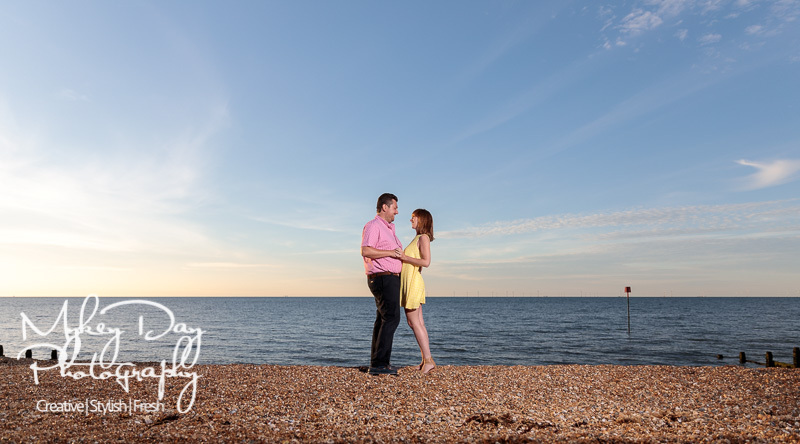 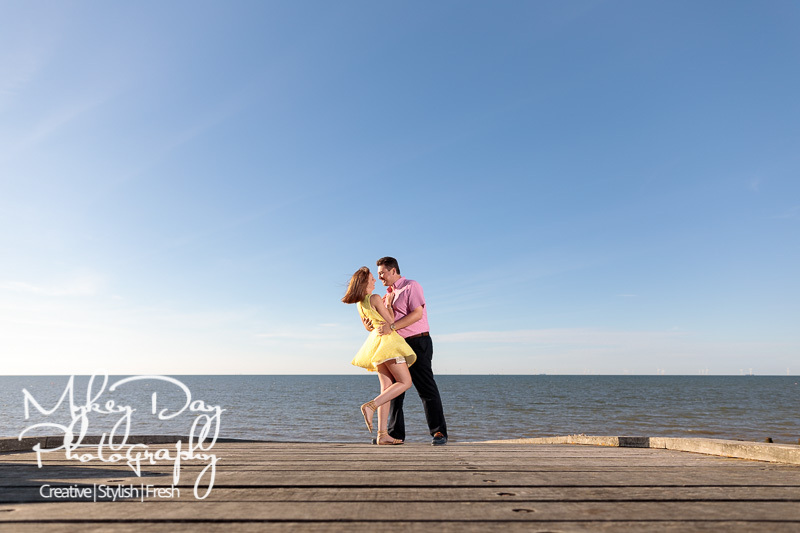 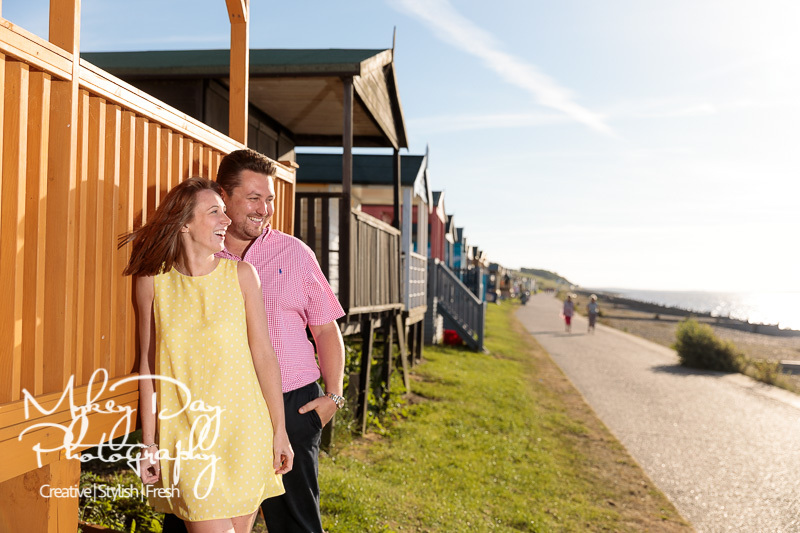 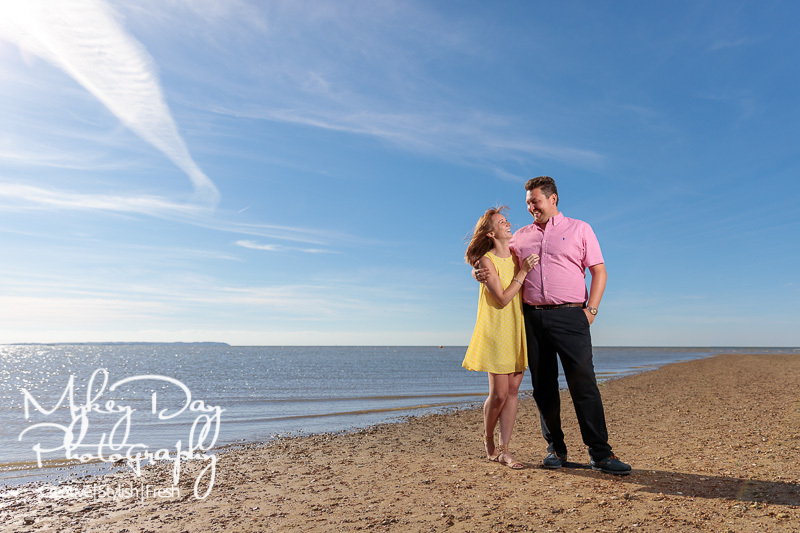 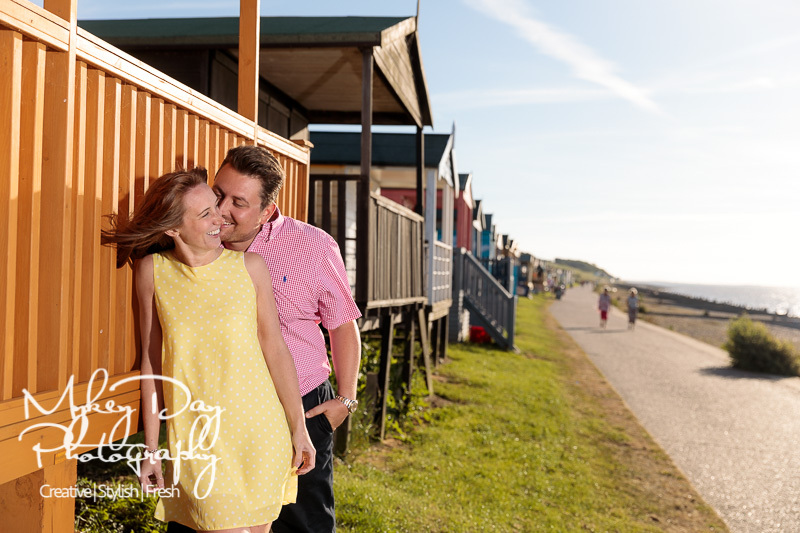 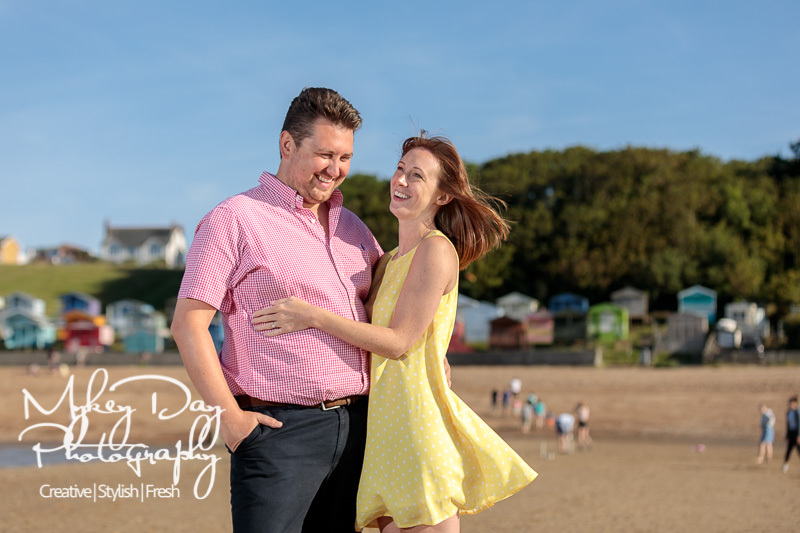 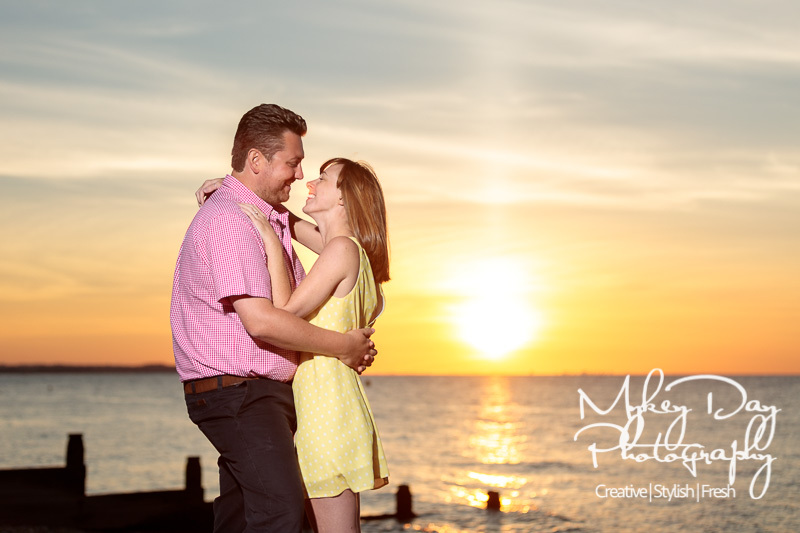 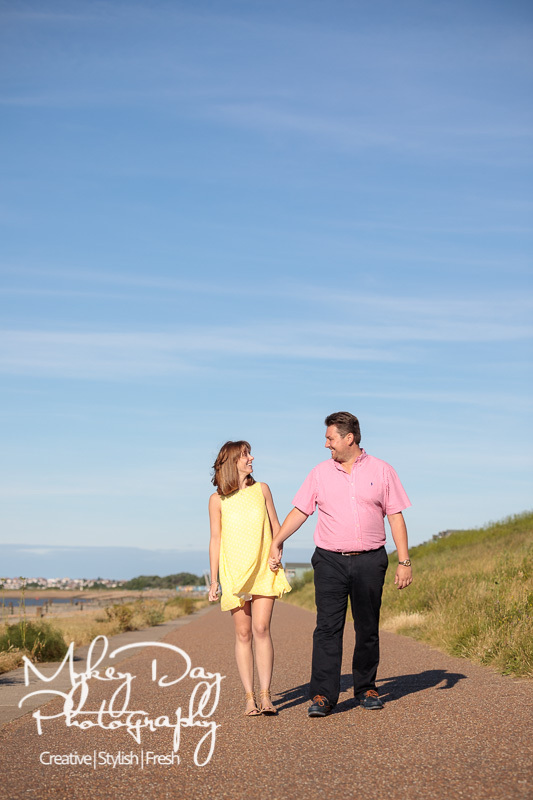 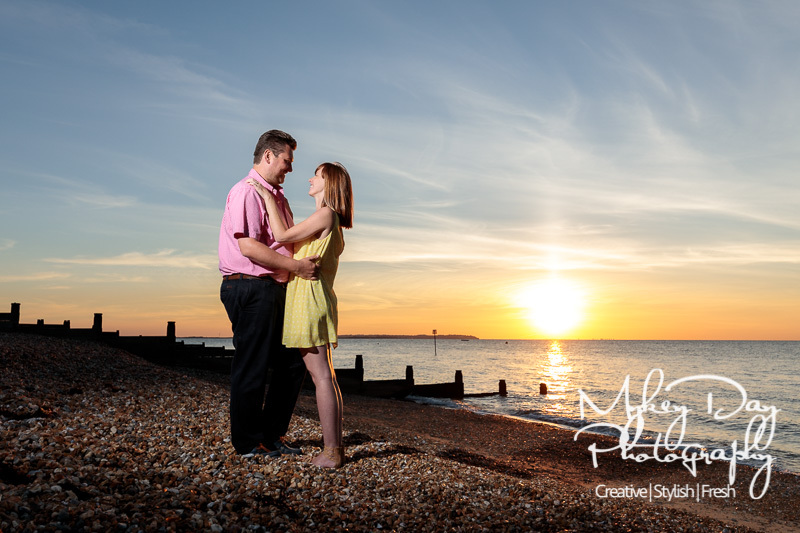 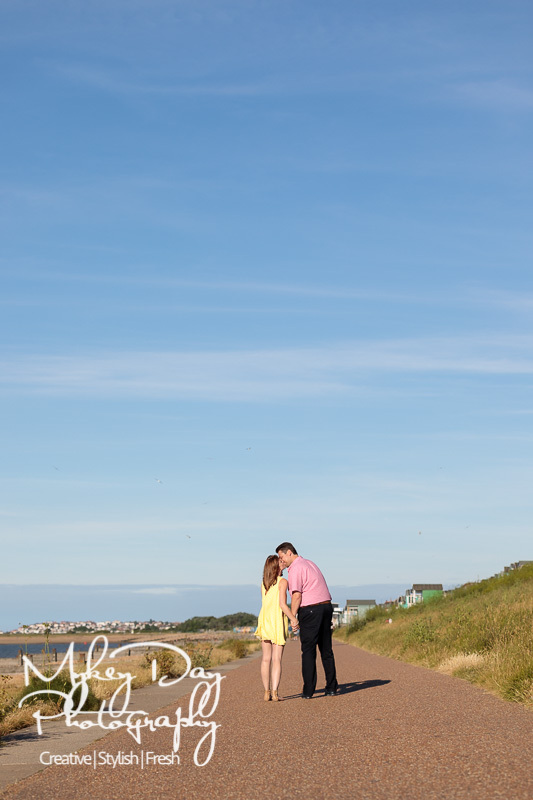 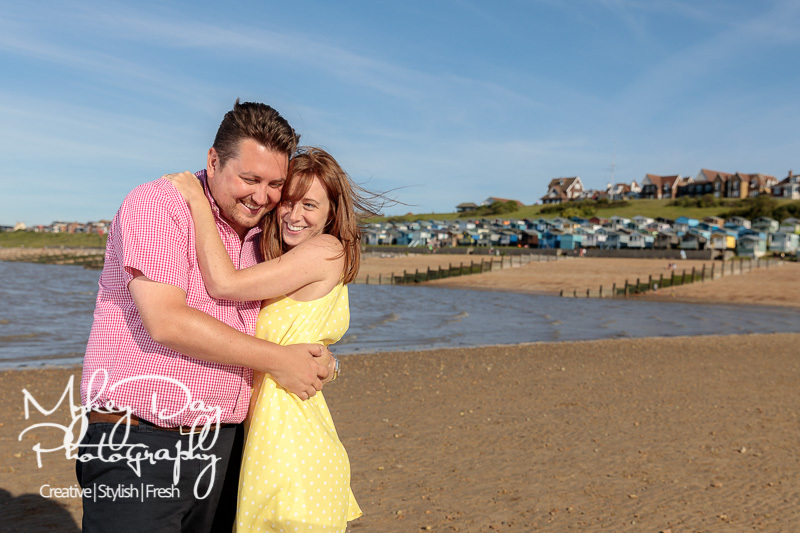 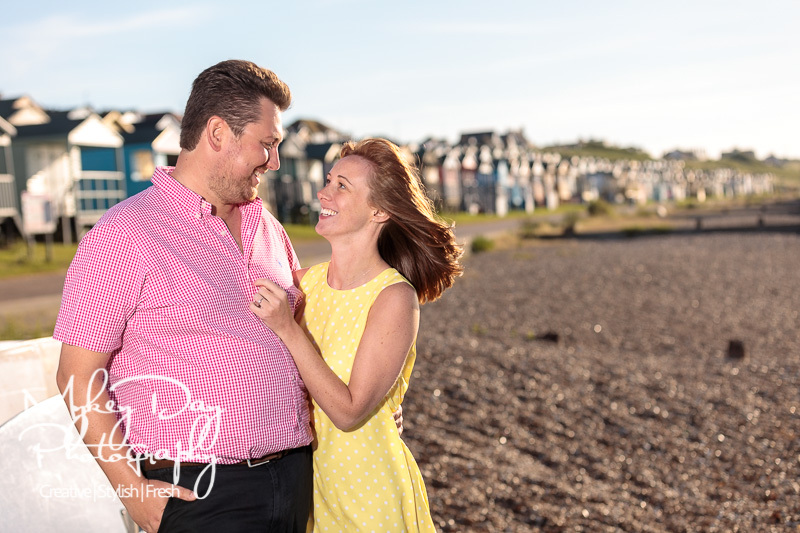 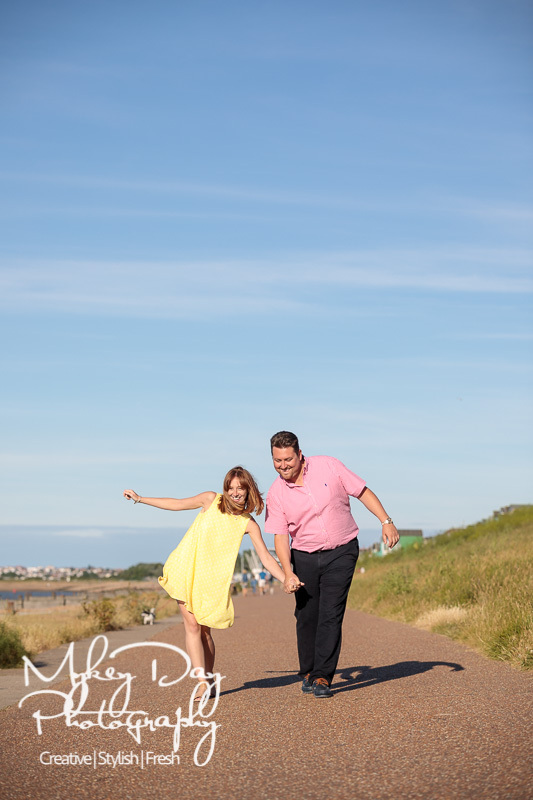 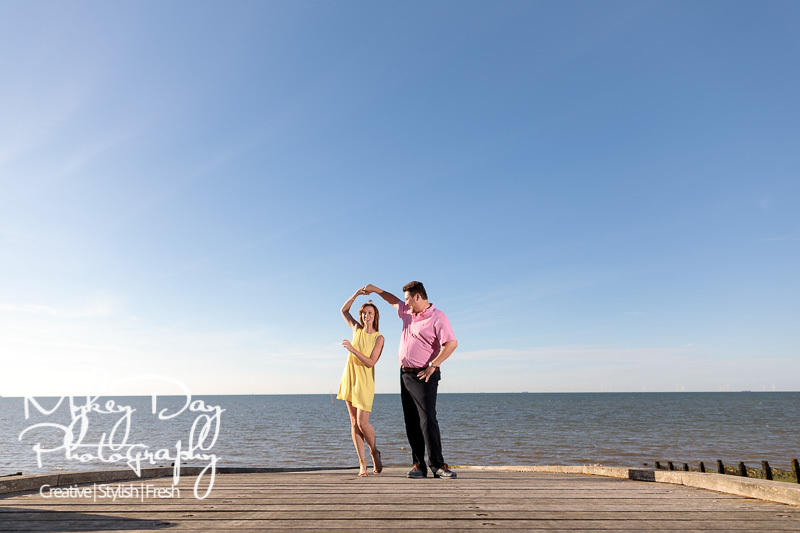 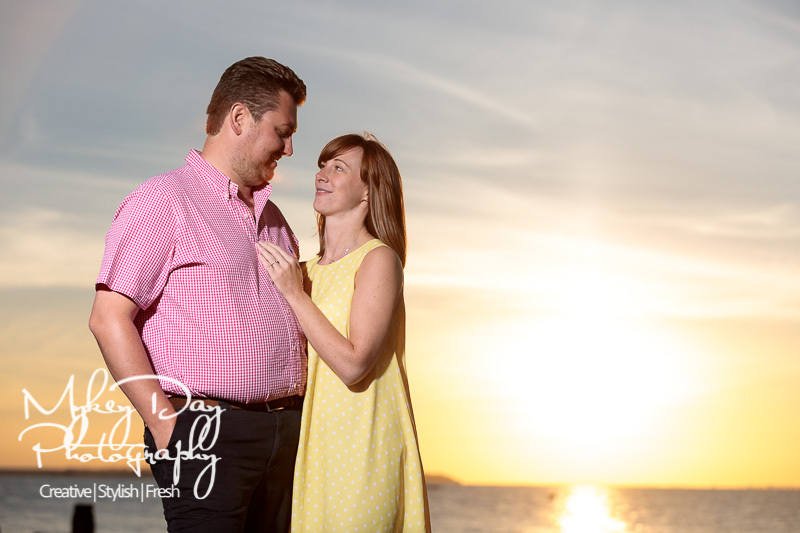 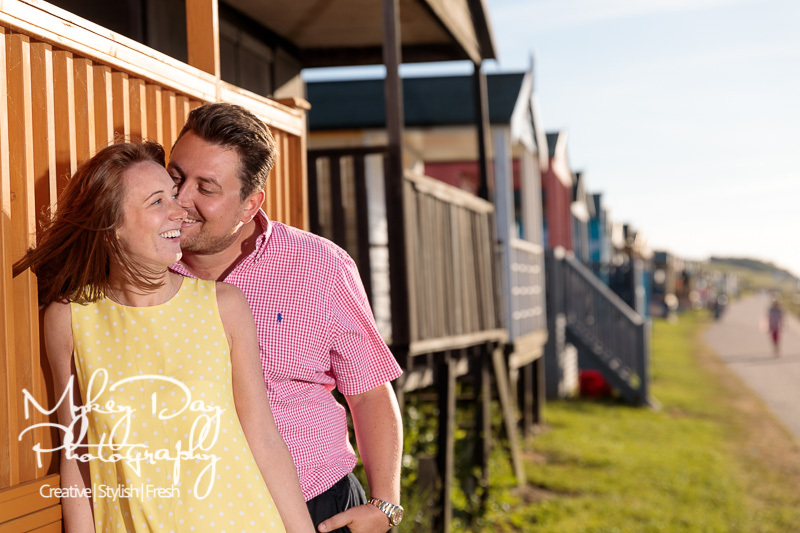 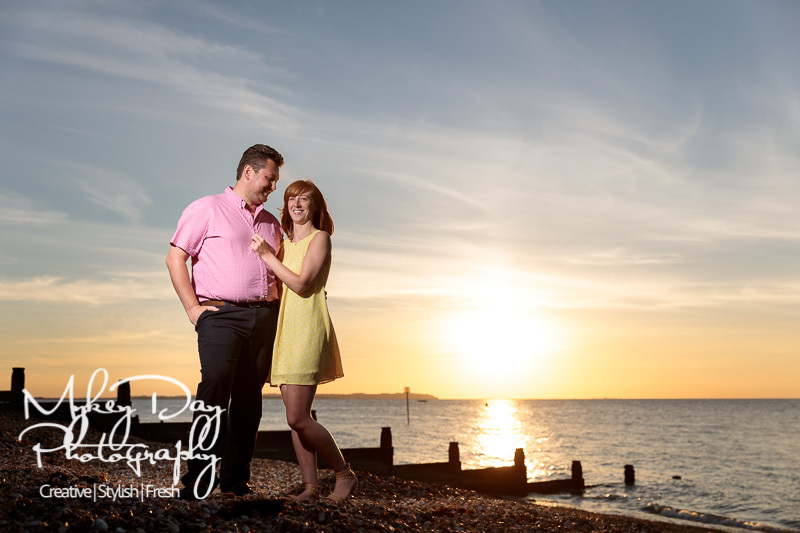 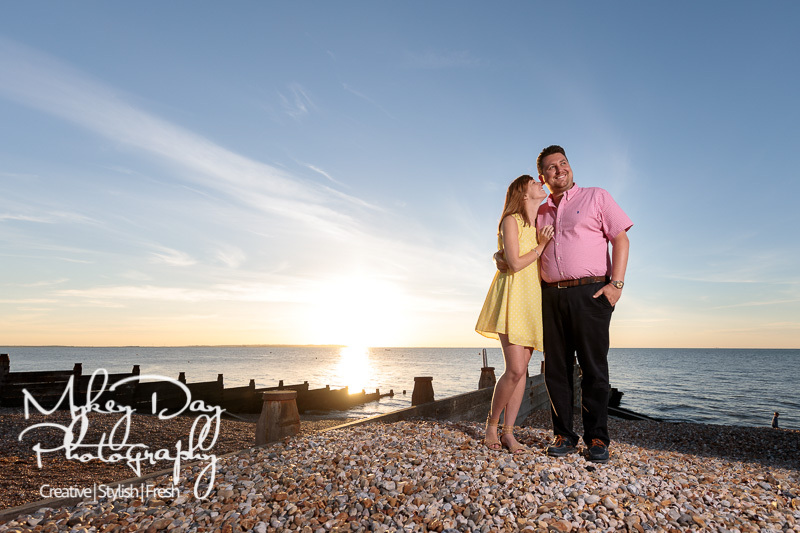 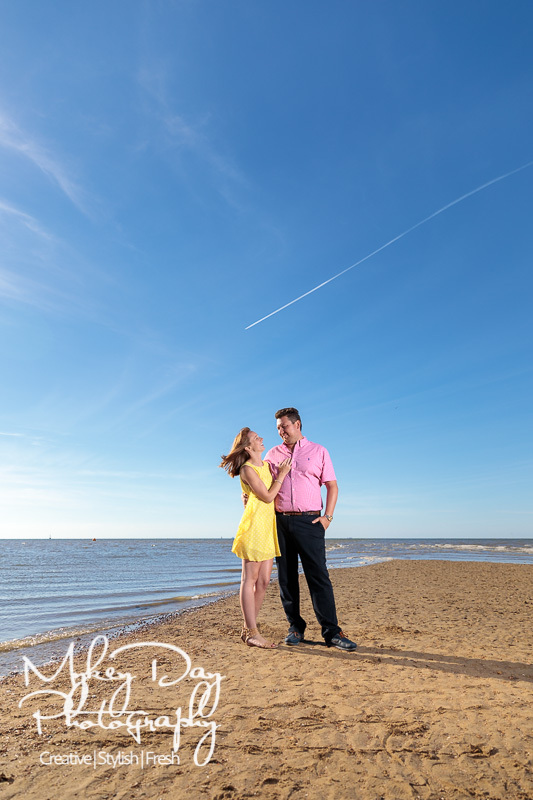 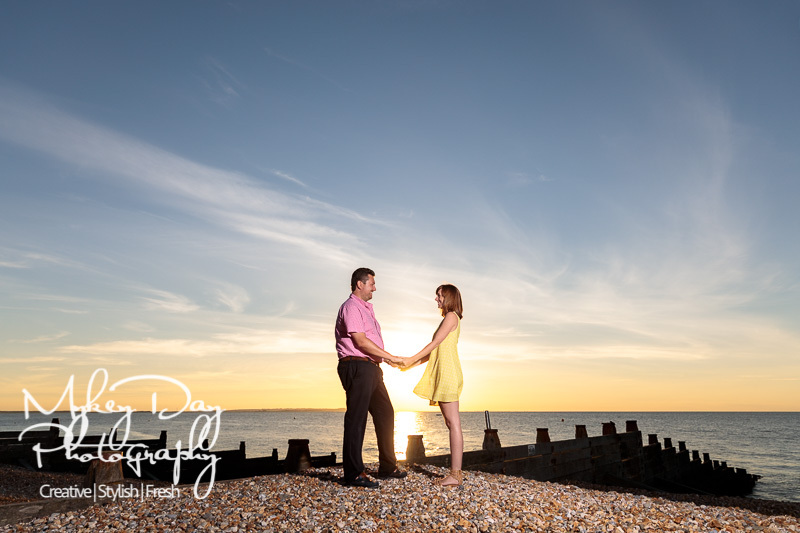 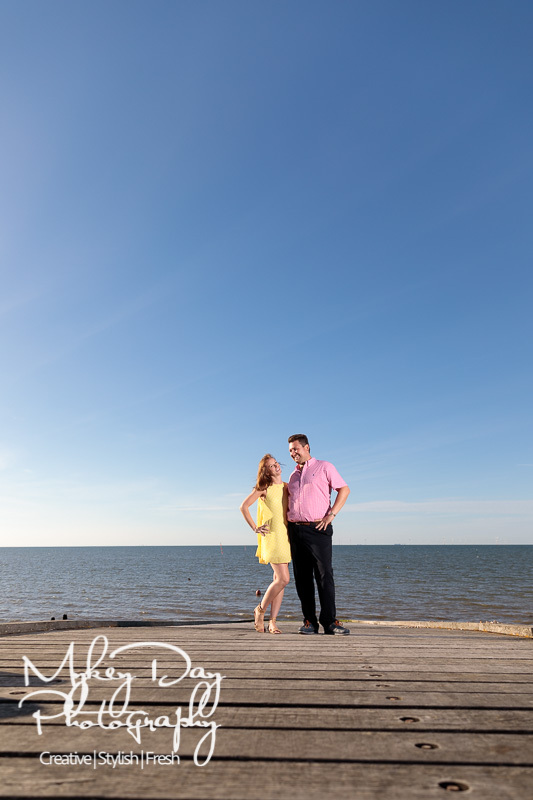 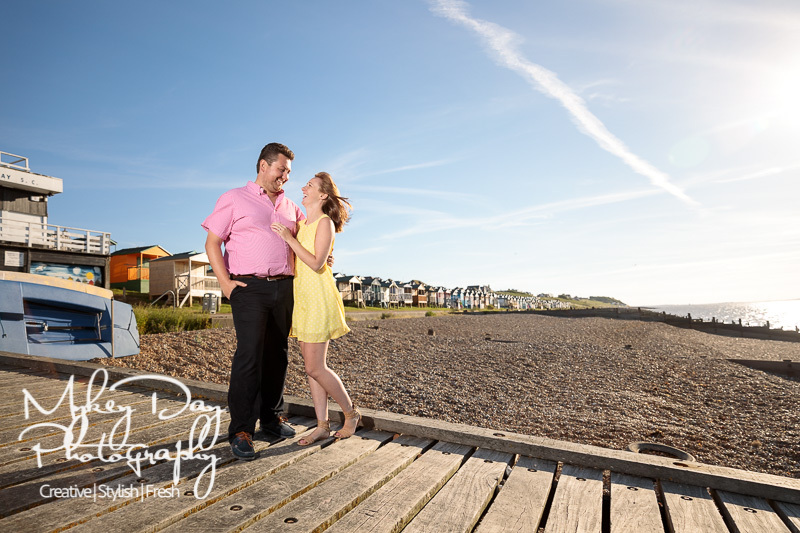 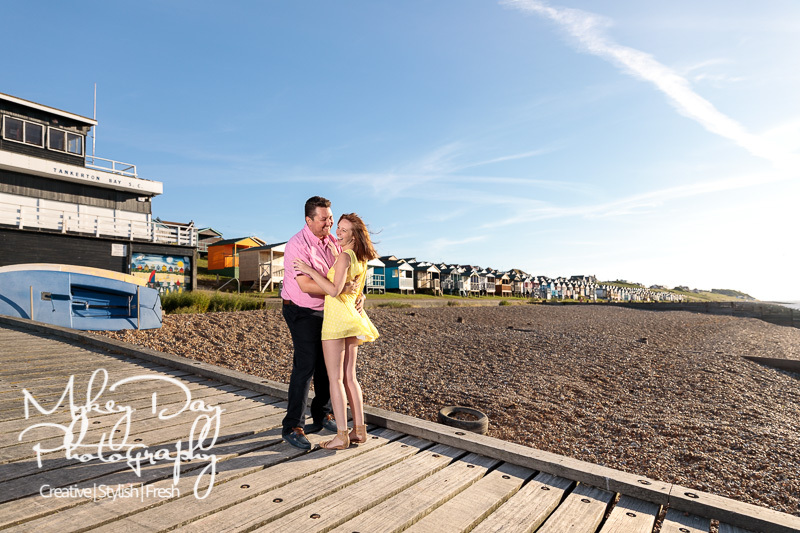 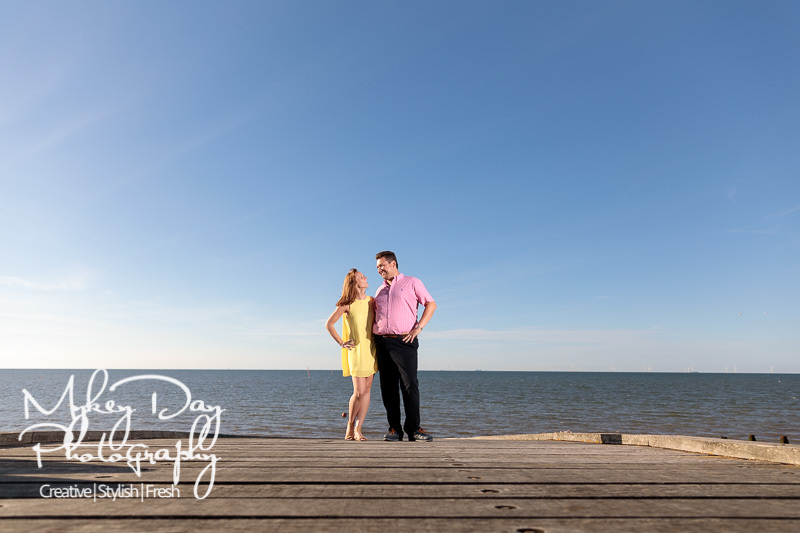 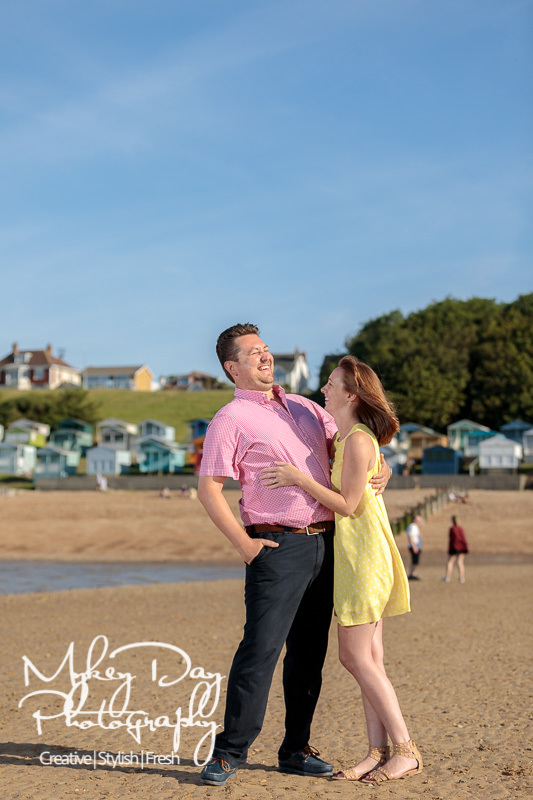 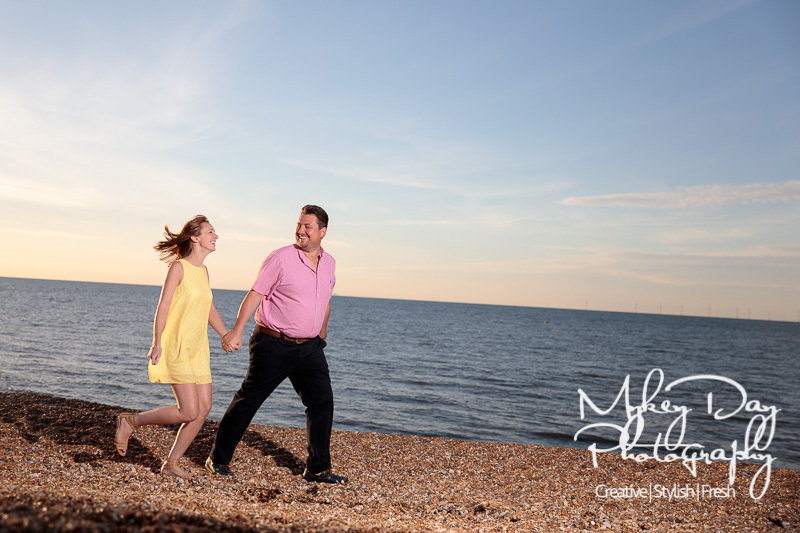 Another super fun engagement session in Whitstable Kent, with super gorgeous sunshine and a beautiful sunset just as spectacular as those you can have during engagement sessions abroad! 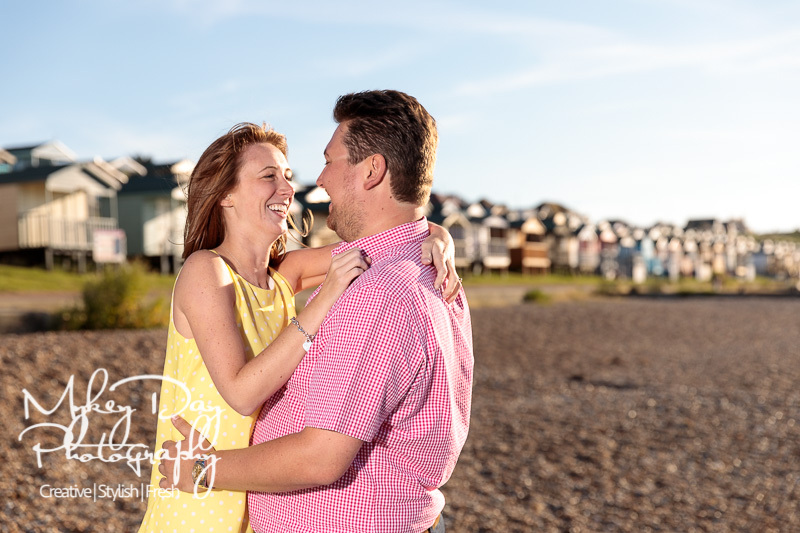 Hannah & James were up for some fun and a good time at the start of the English summer with a celebration on England’s historic 6-1 victory over Panama in the FIFA world cup! 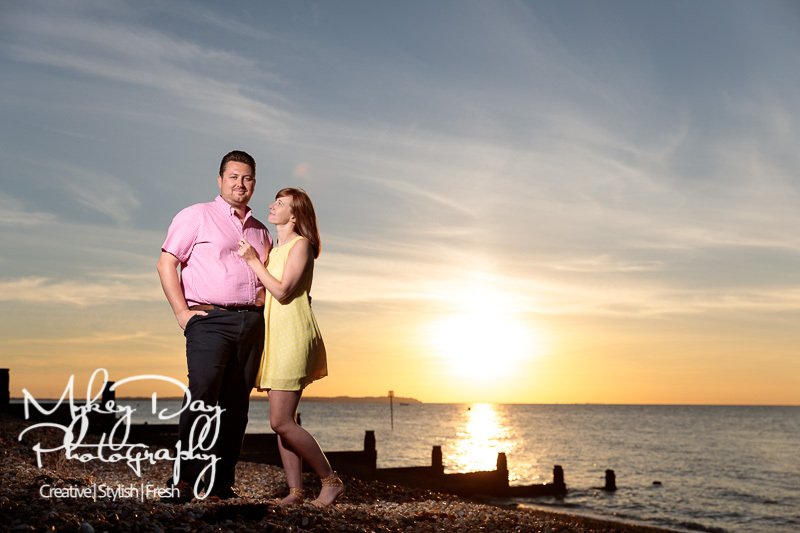 The last time we saw Hannah & James it was SNOWING LIKE CRAZY only a few months ago! 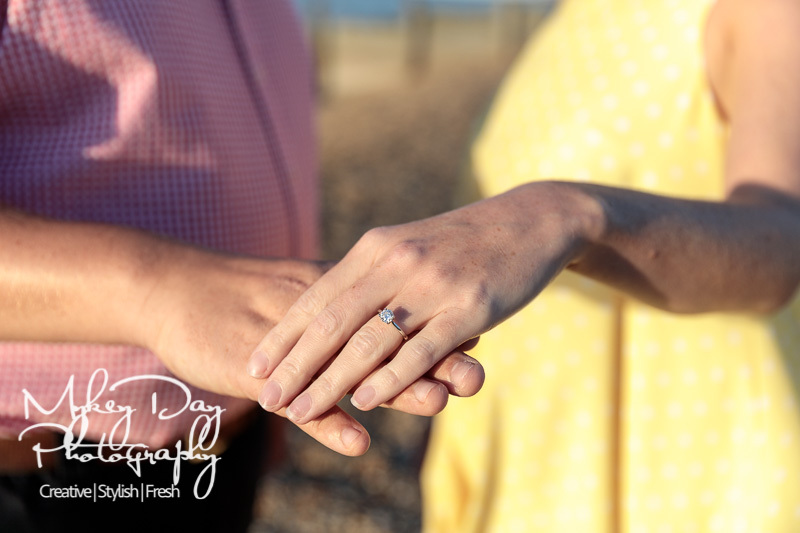 What a difference a couple of months can make! 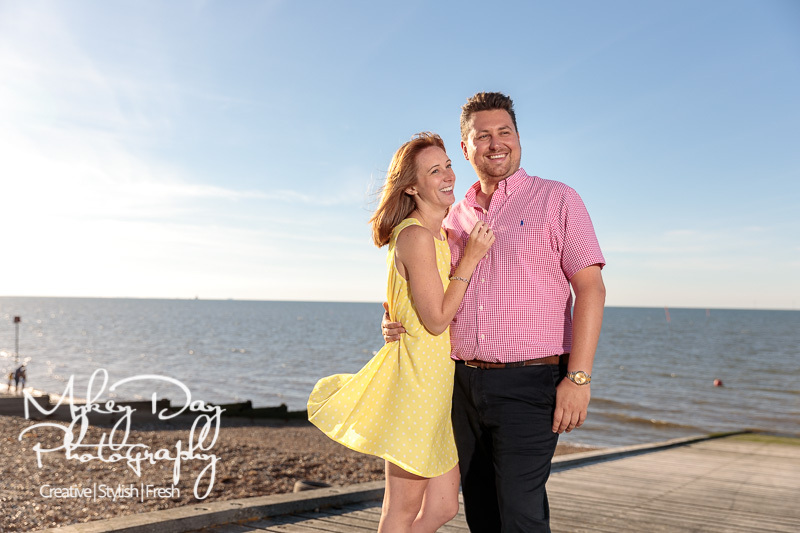 Hannah & James are planning their dream wedding at one of our favourite Kent Wedding Venues Knowlton Court where we are proud to be preferred suppliers. 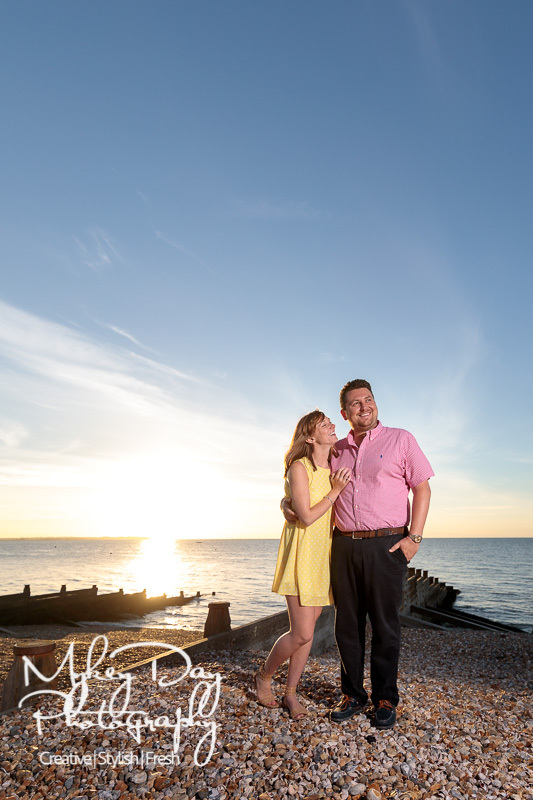 We met, as we always do, at the Marine Hotel in Whitstable where it turns out that Hannah & James not only had their first date – but also this is where James proposed! 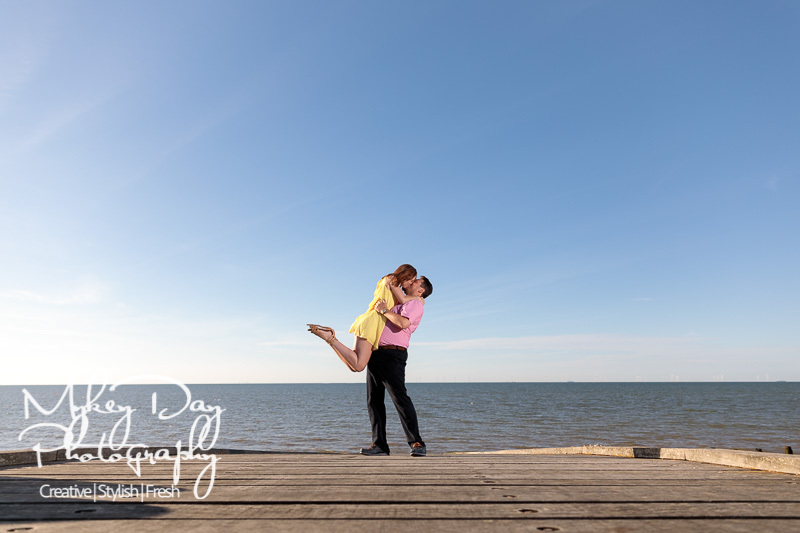 We love it when there is a significance and meaning behind the location our clients choose for their engagement sessions! 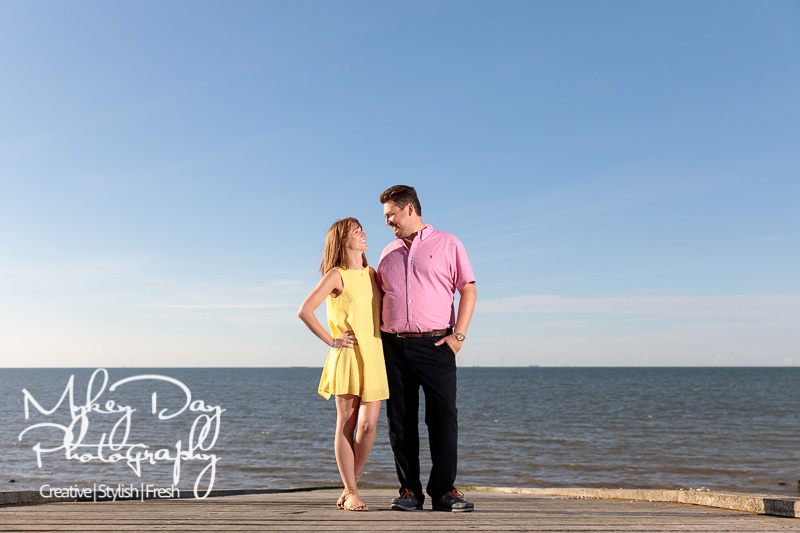 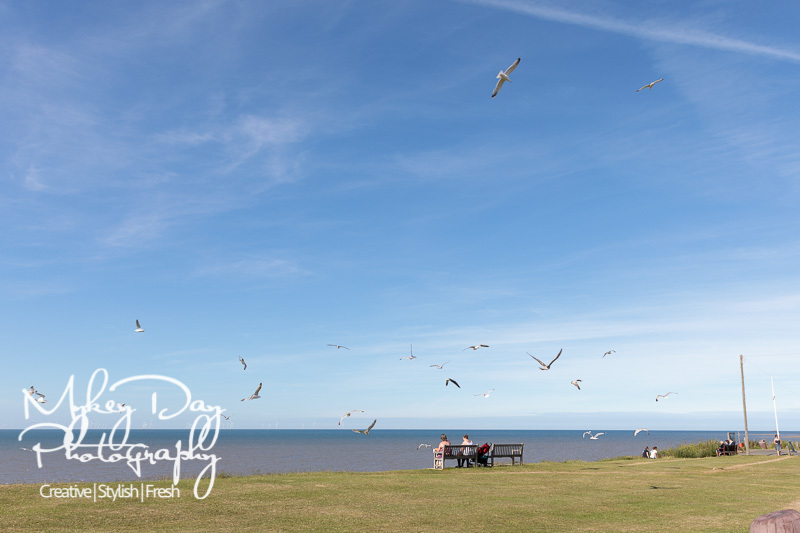 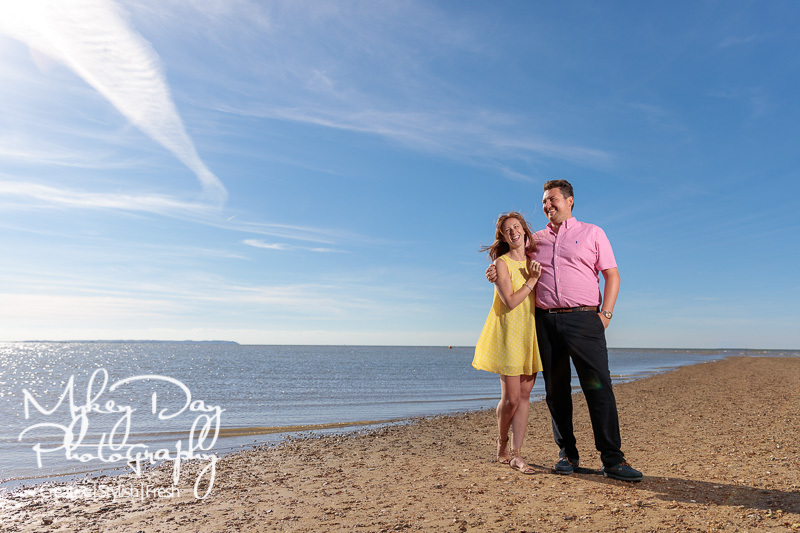 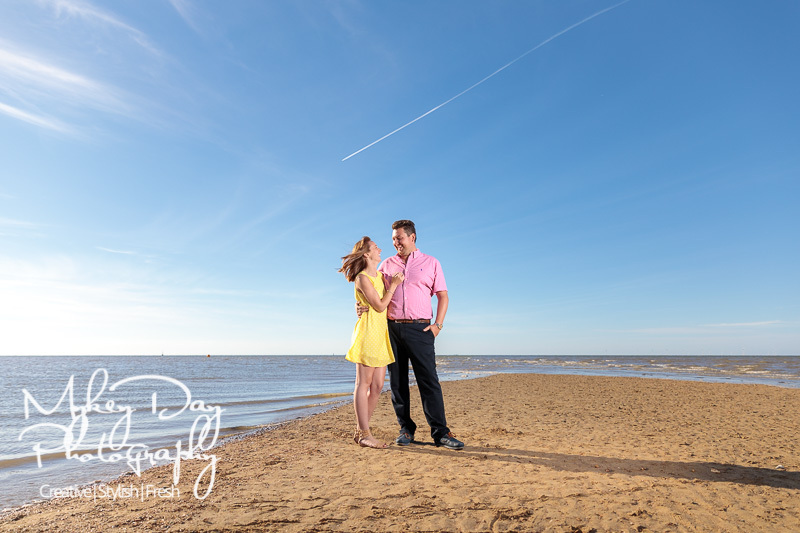 We lucked out with the spit being visible for us to walk out into the bay to start off our session – with some stunning engagement photos typically not possible here – but this was perhaps karma after the bad luck of being attacked by the swarm of seagulls!